My husband works in the film industry. He’s a freelance location scout on commercials. The days he is actually filming and on set his hours are long. He’s out before P wakes up and returns after she’s gone to sleep. Any working parent knows how heartbreaking it can be to live in the same house as your child and yet never see them. For his sanity, P’s and mine I make an effort to visit him on set if he’s doing more than two shoot days in a row. Even if it’s only for 20 minutes I find it worthwhile. P is always a happier child after she’s been hugged by Pappa. This week he was in the Palisades, about 40 minutes from home. It’s in the triple digits in the Valley while on the west side it’s in the low 80’s, another incentive to visit him. The location was also close to Will Rogers State Park so we stopped by for an adventure. These are the days I think I’ll remember forever. 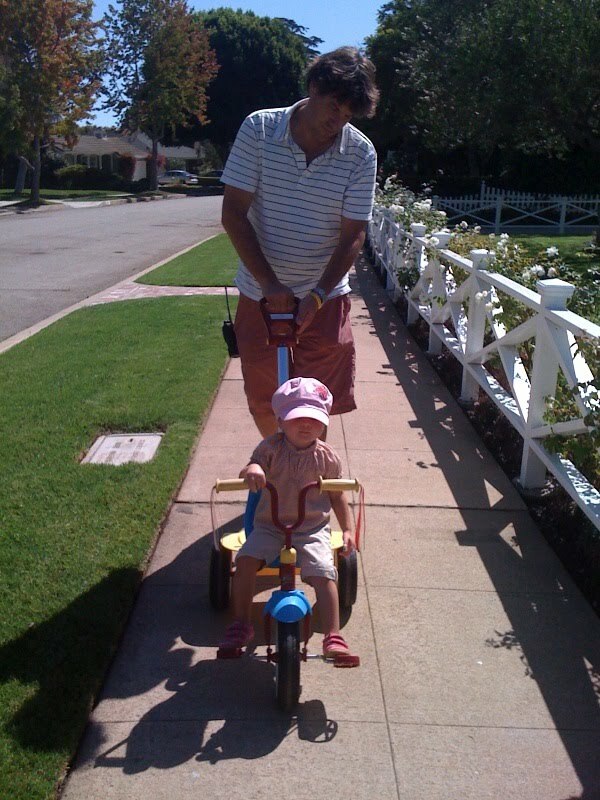 Visiting Pappa is always memorable but the time at Will Rogers was the kind of stuff ….well, you usually see in a movie or commercial. 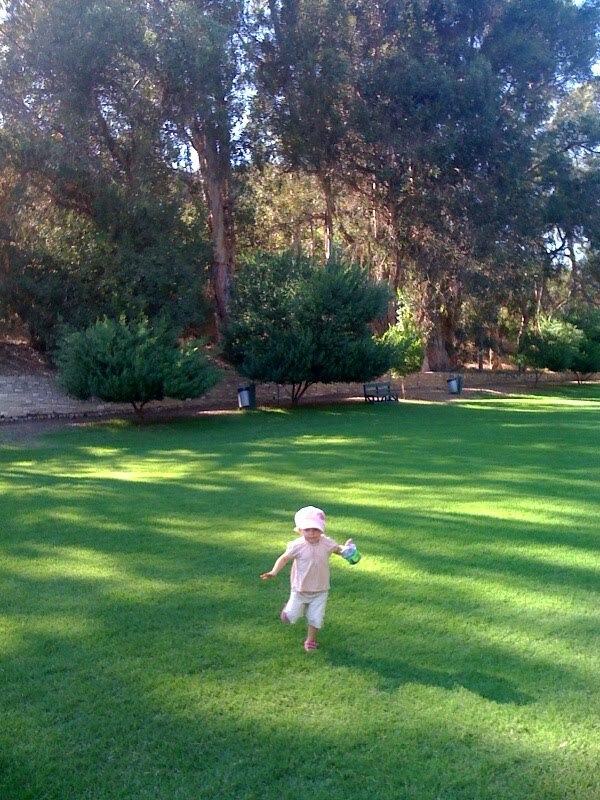 We ran and ran and ran through their huge green lawns (a very rare find in LA). I spun her around till we were both dizzy and fell to the ground. 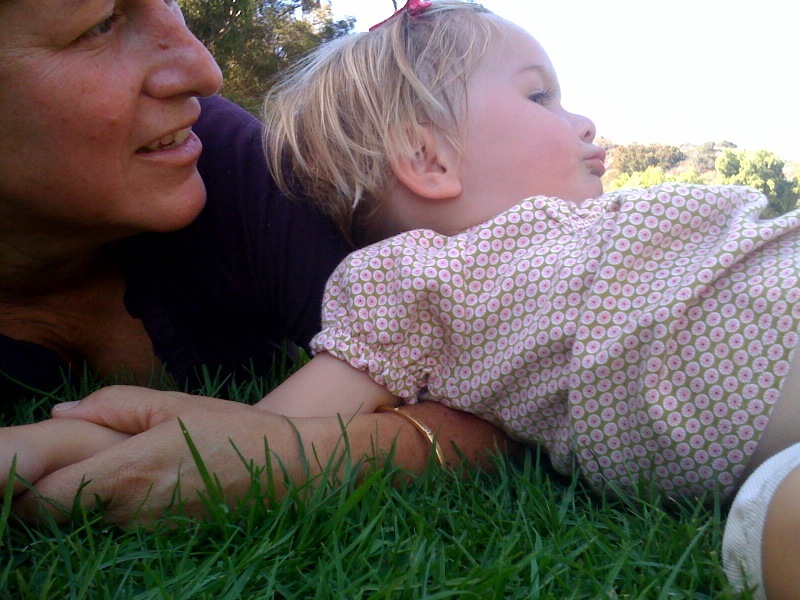 We even rolled and tumbled in the grass. I haven’t done that since I was a kid and we both laughed so hard. We saw horses, both in fields and in a dressage lesson. 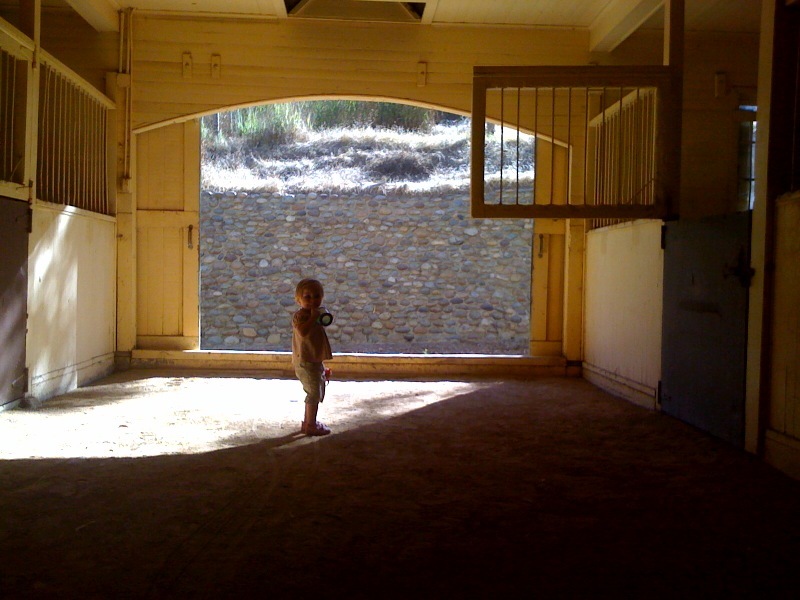 They have a beautiful stable that P explored. And we just laid around. 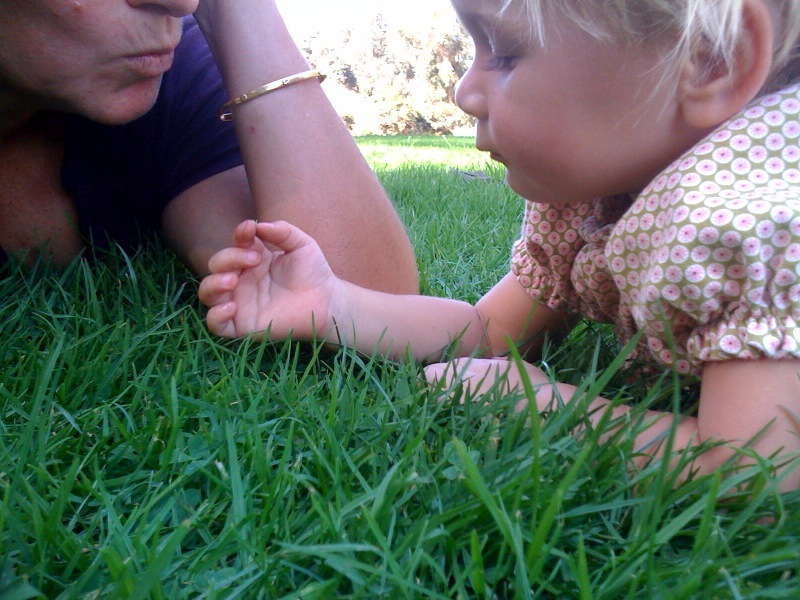 It seems so dumb and boring but this time doing nothing but inspecting blades of grass was soothing for our souls. I don’t know exactly what it was about it that was so therapeutic. After all that, we went to Robeks Juice and shared a smoothie. 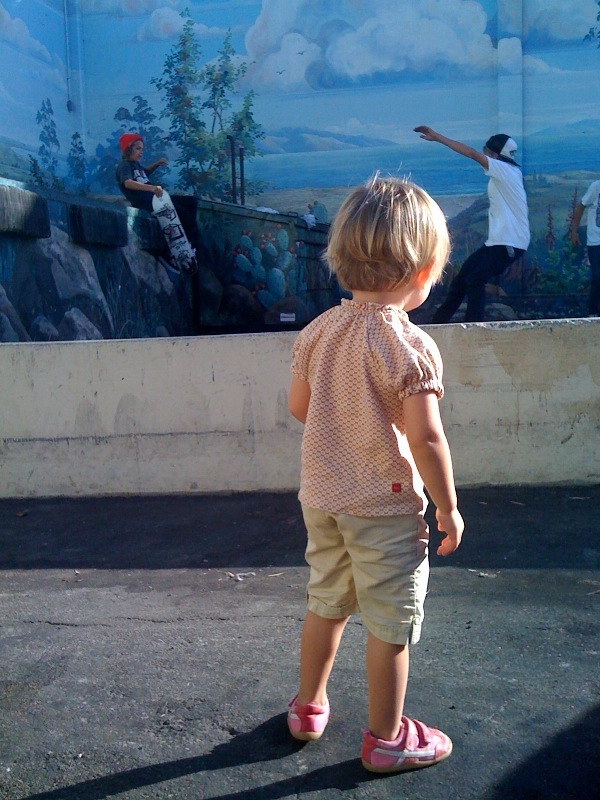 In the parking lot P saw boys skate boarding and was mesmerized. It was the most unscheduled day and yet I think one of the most memorable and impactful for us both.